What is SPECIFIC Canine Special Care Joint Support dry food? 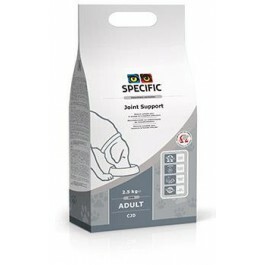 SPECIFIC Joint Support is a complete and balanced dry food for dogs that suffer from joint pain and mobility issues. The recipe contains ingredients to help support the natural anti-inflammatory process, support healthy cartilage and to aid in maintaining ideal bodyweight. This diet contains a powerful combination of cartilage supporting nutrients such as Omega-3 fish oils, Glucosamine, Chondroitin, Manganese and Antioxidants. These nutrients support the natural anti-inflammatory process and help to activate cartilage creating enzymes, promoting healthy cartilage. SPECIFIC Joint Support contains moderate energy levels and additional L-carnitine, a fat burning amino acid, to help reduce pressure put on joints by maintaining ideal body weight. 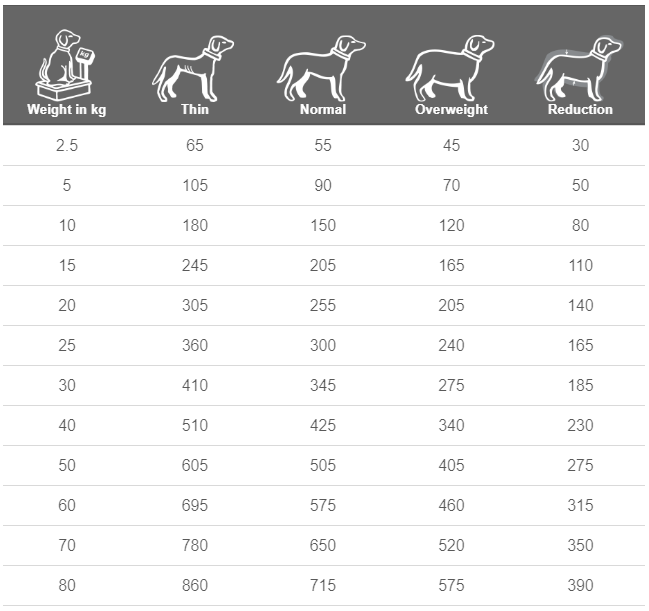 This food is suitable for adult dogs with joint pain. What are the benefits of using SPECIFIC Canine Special Care Joint Support dry food? What is in Specific Canine Special Care Joint Support dry food? EC approved additives: BHA, BHT. Crude Protein 21.4g, Crude Fat 11.5g, Carbohydrate 46.4g, Crude Fibre 7.7g, Calcium 0.63g, Phosphorus 0.57g, Sodium 0.3g, Manganese 2.5mg, L-carnitine 30mg, Vitamin-A 1400 IU, Vitamin-D3 71 IU, Vitamin-E 81mg, Vitamin-C 16.4mg, Omega-3 1.82g, EPA 0.54g, DHA 0.81g, Glucosamine & Chondroitin 233mg, Water 8.5g, Ratio n-3:n-6 1:1. 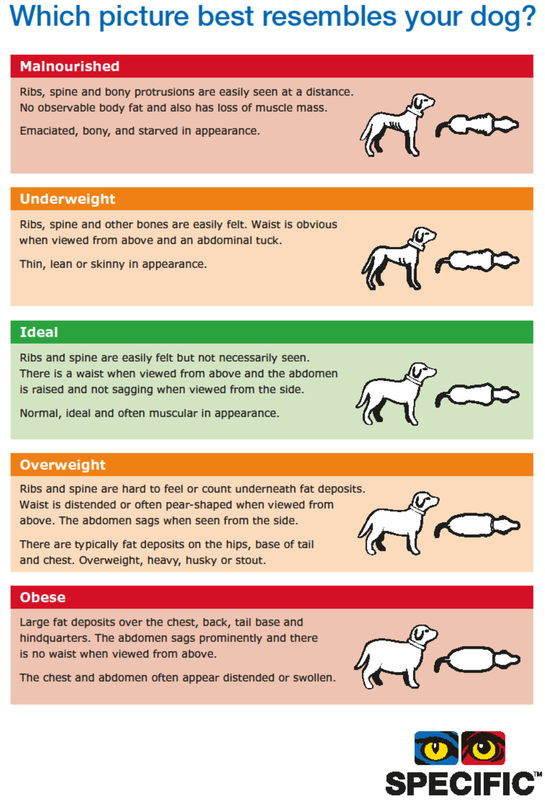 How much SPECIFIC Canine Special Care Joint Support dry food should I feed?